Human life is extremely complex. This is easy to contemplate before you realize how many atoms make up our bodies. An average adult has around 7 octillion atoms in their body. How much is an octillion? If a million has six zeroes at the end of it, an octillion has 27. Imagine that it's a totally amazing human body fact! An average of 87% of the atoms in our body is hydrogen or oxygen, which makes us seem like meaty clouds on paper. The rest are mainly carbon and nitrogen. 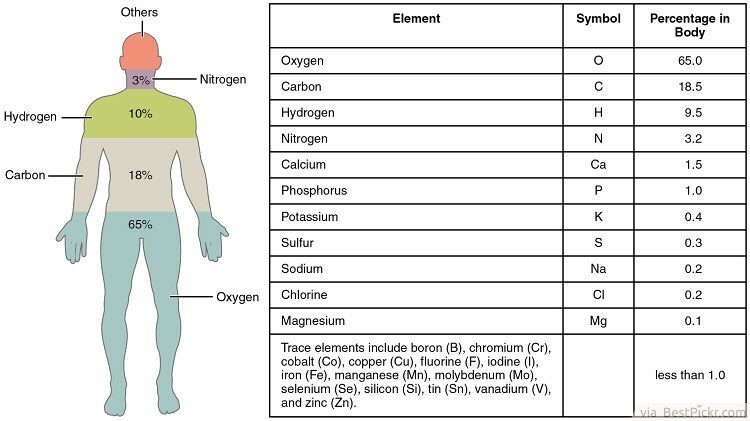 There are a total of 41 chemical elements which are usually present in the bodies of most people. The exact number of atoms varies with diet, age and other environmental factors.